I already posted one image for the Inside challenge but, I think this one might qualify as well. 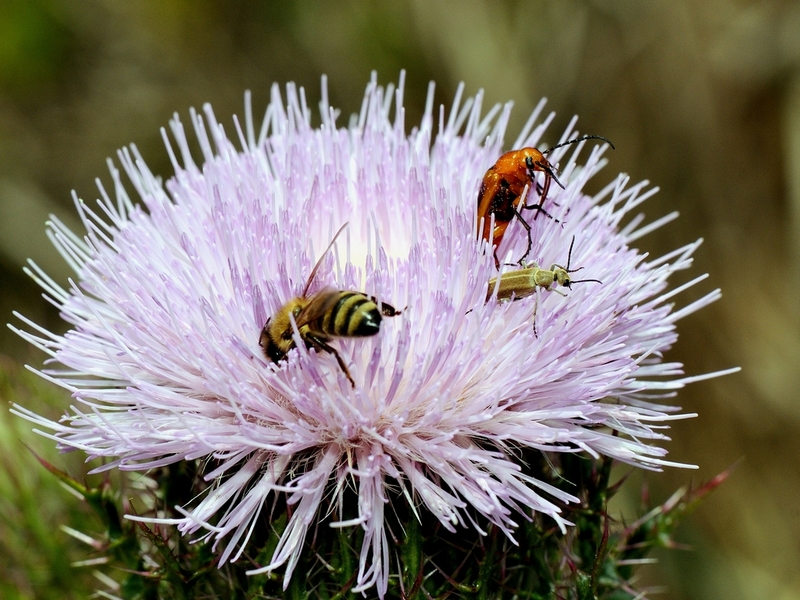 Instead of what is naturally inside, these are bugs which work their way inside thistles. The bee is obvious, the brown bug is a blister beetle and I don’t know what the orange and black one is. The bee of course is looking for nectar, the blister beetle eats the petals and the orange and black one has sucking mouth parts for drawing on the sap of the plant. 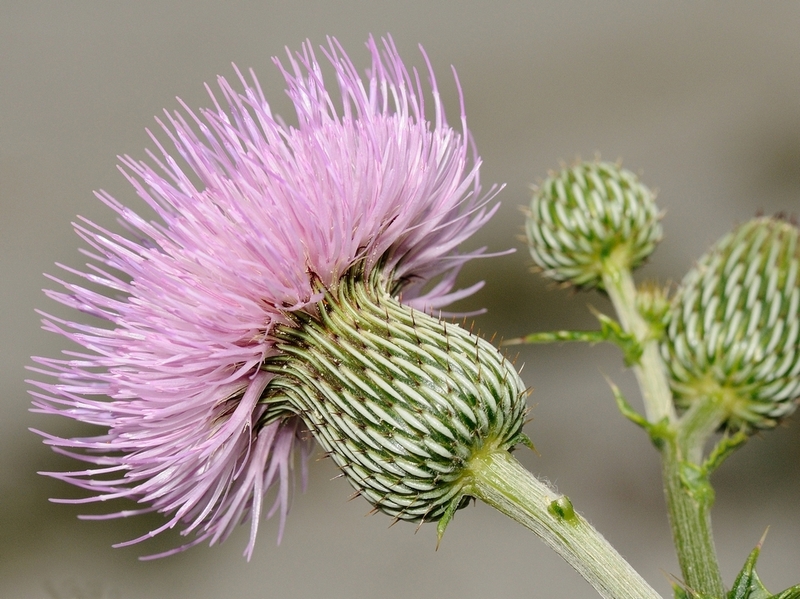 But, speaking of thistles, the bottom and the unopened flower has it’s own geometric beauty. This entry was posted in Bug, Photography, Wildflower and tagged Bee, blister beetle, Micro-Nikkor 105mm f2.8 VR, Nikon D300, postaday, thistle. Bookmark the permalink. Your images are gorgeous! That thistle looks like an insect vacation spot. 🙂 It is very beautiful.